This weeks topic is Shadow. I always liked to think of the past as sort of shadows we cast and sometimes the smallest things have the most interesting histories. I would’ve loved to do this one in more detail, but I fear my hands wanted the holiday off and boy did they protest even doing this much. Still not bad for being done mostly one handed. Oh the joys of fibromyalgia, but I am starting to get more done again and am very happy this image is here. I hope everyone out there has a safe and happy thanksgiving! 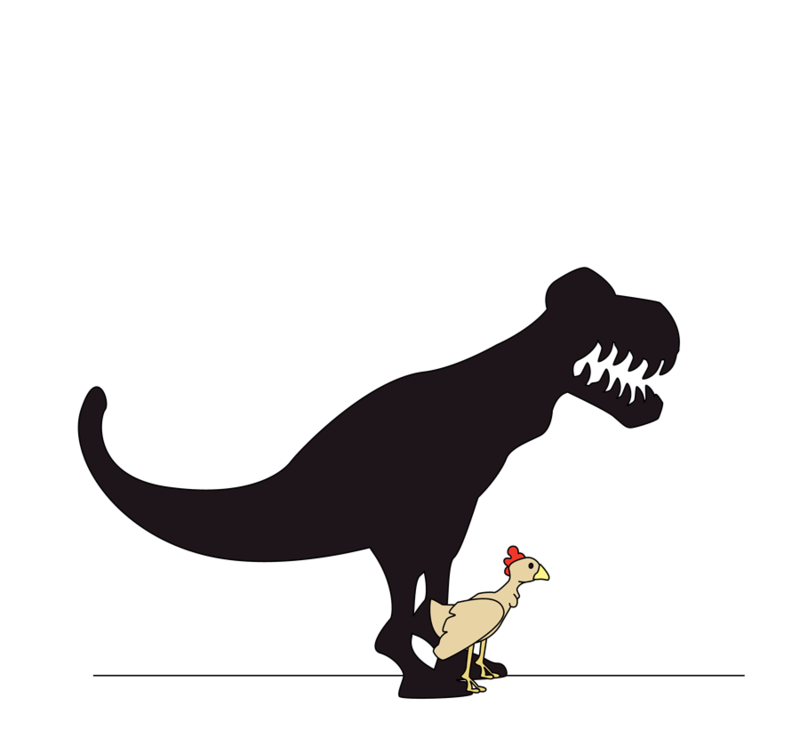 This entry was posted in Uncategorized and tagged chicken, illustration friday, shadow, trex. Bookmark the permalink.